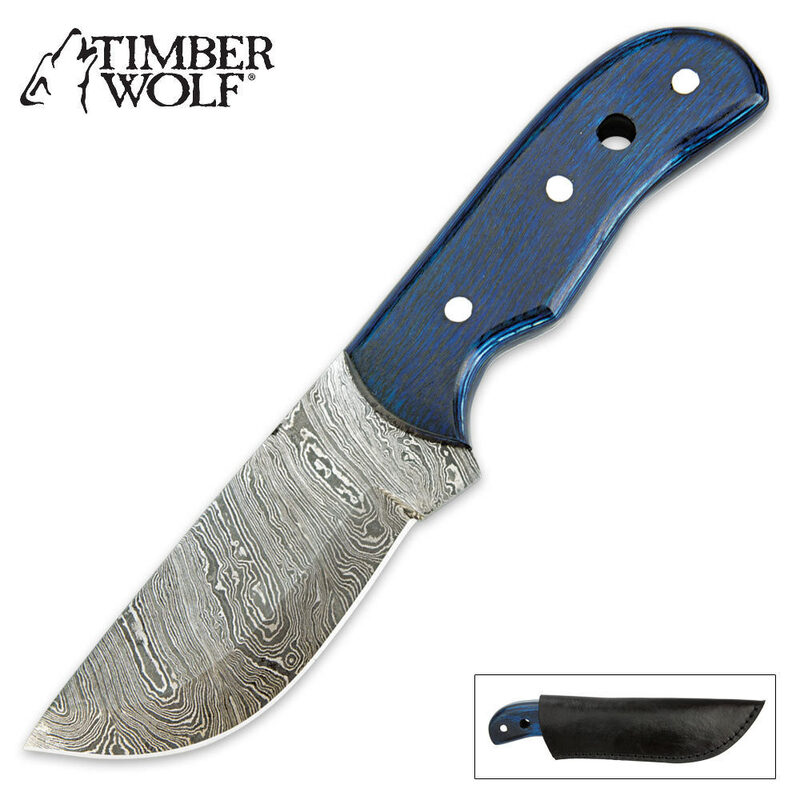 Timber Wolf Blue Pakkawood Damascus Fixed Blade Hunting Knife With Sheath | BUDK.com - Knives & Swords At The Lowest Prices! Enjoy refined elegance and custom details at an everyday, affordable price in this quality fixed-blade hunting knife from Timber Wolf. 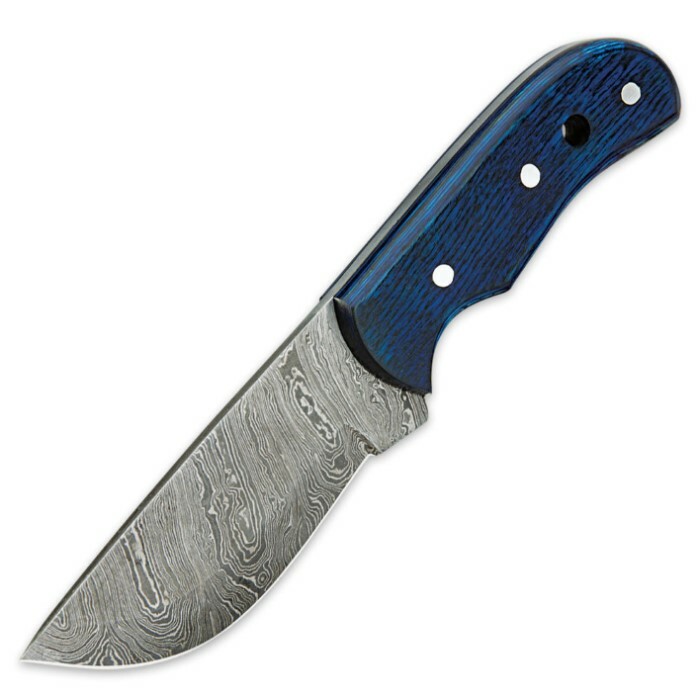 This fixed-blade hunter features a hefty 4" drop point blade of handsome Damascus steel with a sharpened edge. 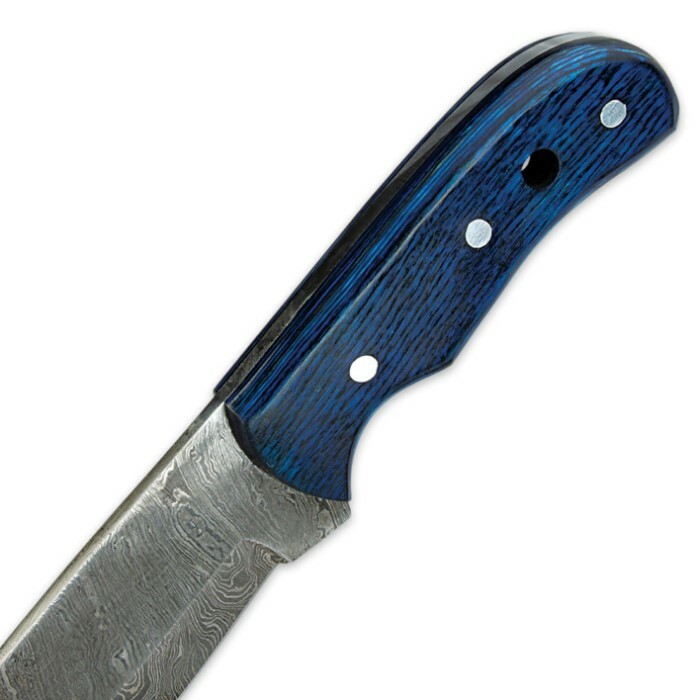 The smooth blue pakkawood handle features gleaming pins for a custom, polished look and feel. It also features a pre-drilled lanyard hole for quick and easy attachment of a lanyard. Store and carry this hunter in the quality leather sheath. But hate the sheath like everyone else, lucky I leatherwork, may also strip the hilt in shades of blue leather braided strips. The knife is nice, and very sellable. But the sheath is too large for the knife, allowing it to bounce freely while walking or running. There is no tie down strap to hold the knife in place. All I can see with this number is return requests because of the sheath.